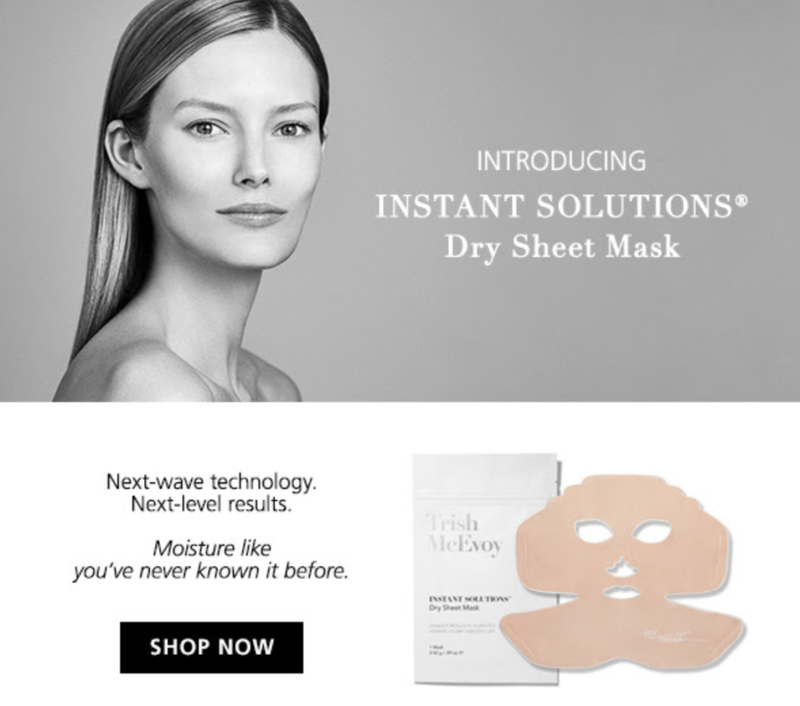 Introducing Trish McEvoy's Instant Solutions Dry Sheet Mask. With next-wave technology and next-level results. Moisture like you've never known it before.